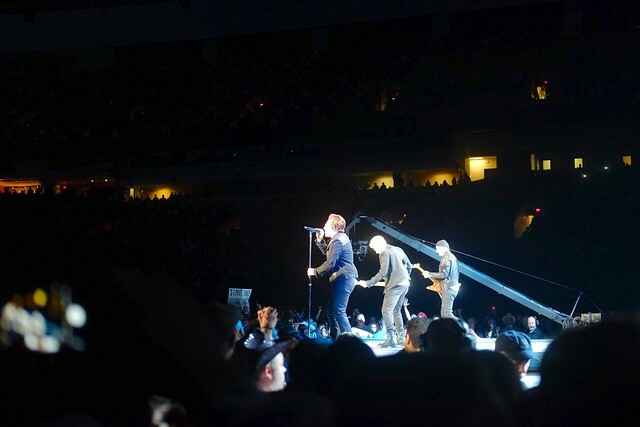 "So here we are again in this city we love, Vancouver." 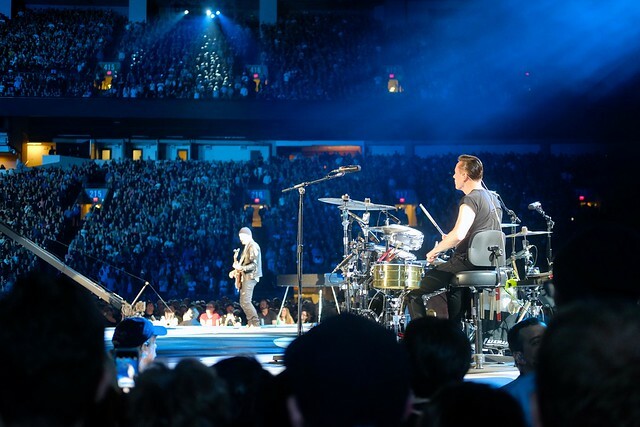 False Creek—(May 12, 2017) Irish rock band U2 kicked off their global The Joshua Tree Tour 2017 in celebration of their seminal album's 30th anniversary after a week of rehearsals that rocked BC Place Stadium. 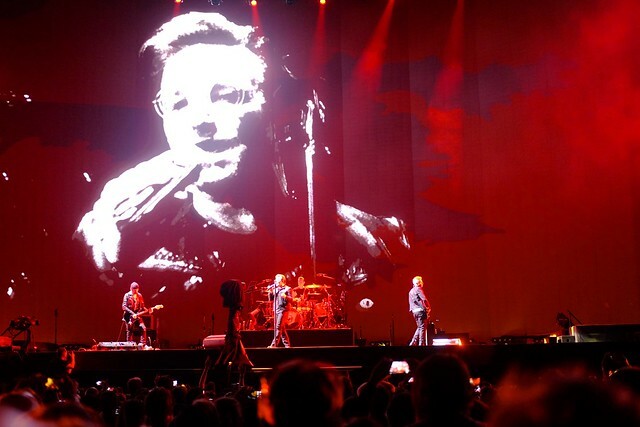 Frontman Bono, guitarist The Edge, drummer Larry Mullen Jr., and bassist Adam Clayton were all in peak form full of energy (after nine hours sleep, apparently) on their first tour date on their world tour. 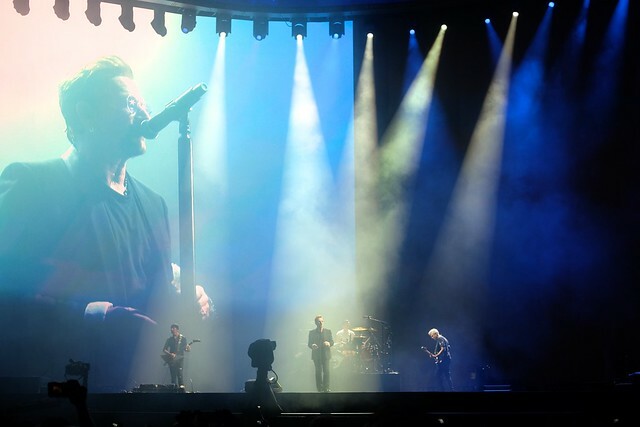 Unfortunately, due to a new credit card verification check-in system (to prevent scalping), long, unorganized lines for general admission entrance plagued the concert until U2 hit their double stage. Only one gate was designated for GA entry (the entire floor section of the stadium) and it took hours for concert-goers to be admitted. Thousands missed most or all of opening act Mumford & Sons because of the snafu. 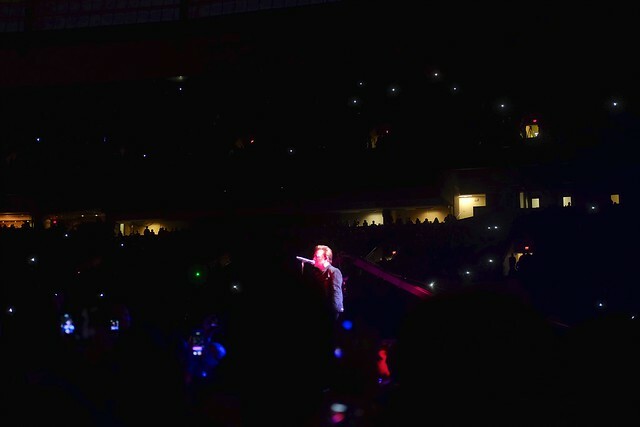 The Brit folk rockers played a tight, raucous set of modern rock anthems to a brightly-lit, half-empty arena at 7:30pm. 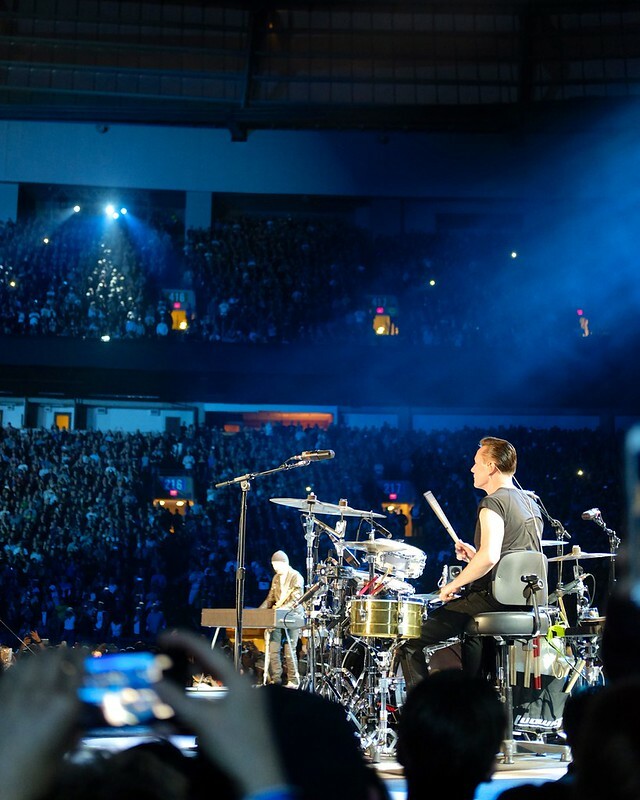 According to updates posted online, they only fixed the ticketing issue by simply letting people in without verifying tickets after Vancouver Police urged fans to be patient. 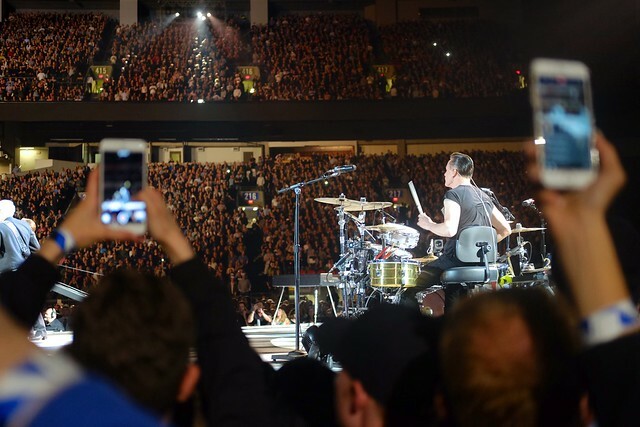 By the time U2 took the stage past 9pm, BC Place was full for their two-hour set of hits staring with "Sunday Bloody Sunday" and wrapping up sometime after 11pm to comply with city noise restrictions. 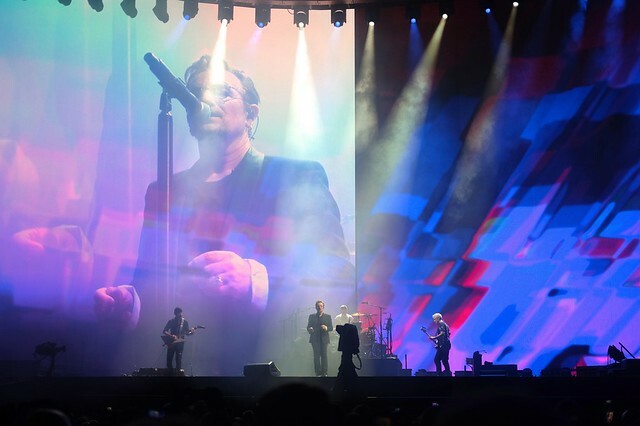 As for the actual concert, there were heavy themes at issue all night as Bono made it clear his feelings about the current political climate in the United States. It was a fitting revaluation of the celebrated eighties hit record full of Reagan era anti-war commentary. 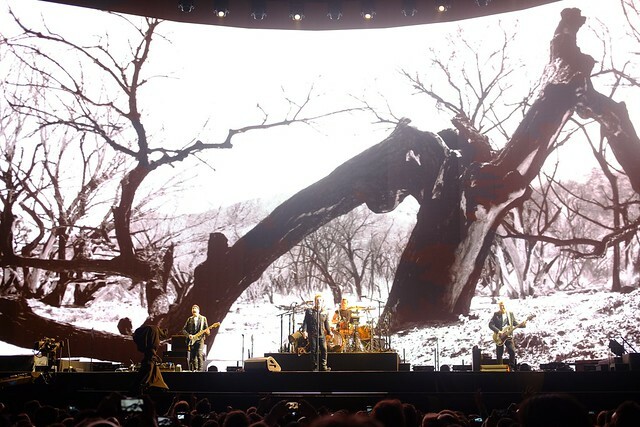 As one might expect, U2 recreated the sensation of the full album experience playing the complete The Joshua Tree album in its entirety with some of their greatest hits peppered before and after as well as a brand new song, "The Little Things That Give You Away". 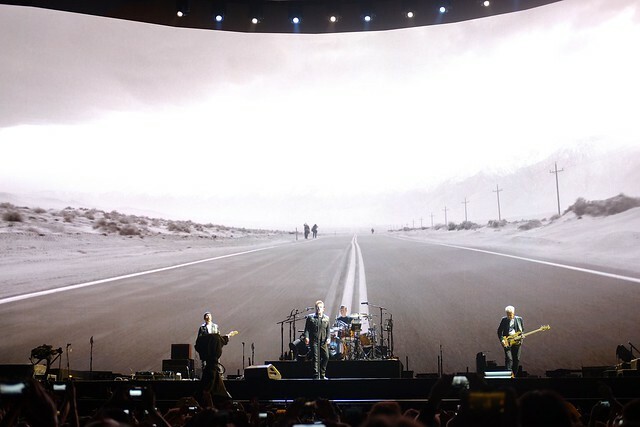 It was a unique rock experience and night full of emotional beats and political messages in true U2 form. "The power of the people is so much stronger than the people in power."